Major league baseball is on pace for the fifth-most shutouts in history. The pace has slowed somewhat, yet there were 247 shutouts through 1,793 games, a pace of 335 for a full season, which would be 25 more than in 2012. The top five years for shutouts are: 1915 (359), 1914 and 1972 (357), 1968 (339), and 2010 (329). The Red Sox have contributed by being shut out nine times, a strange juxtaposition for a team that also leads the majors in runs. “If you pitch the Red Sox the right way, you can shut them down,” said one National League scout. “They do a tremendous job of working the count. It’s an organizational philosophy that works for them. But they prey on pitchers who can’t throw strikes. They grind out at-bats, work the count, make pitchers throw way more pitches than they need. Why were Pirates so bad for so long? 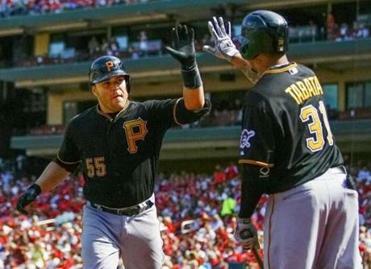 After a major league-record 20 consecutive losing seasons, the Pirates (71-49 entering the weekend) look like a cinch to clinch their first winning campaign since 1992. Since then the Bucs have finished an average of 21½ games behind each year, only coming within five games of .500 three times. Draft day was a major cause of their problems. Despite picking in the top 10 15 times and never lower than 19th, they missed way more often than they hit. “If you see a game where they get shut out or they get dominated, it’s because whoever is pitching isn’t allowing them to get into their game. That sounds like a simple approach, yet few teams have been able to execute it consistently against the Red Sox. The numbers certainly give credence to the theory that pitchers who have dominated the Red Sox have taken them out of their comfort zone. Entering Friday night’s game, the Red Sox had seen 19,482 pitches in 123 games, an average of 158.4. In their nine shutouts, they saw 127.1 pitchers per game. That means pitchers are getting more swings earlier in counts. Gomes theorizes that the reason there are more shutouts is because there are more power pitchers. Statistician/writer Bill Chuck tells us the Red Sox have hit .138 in the nine games they were shut out with 65 strikeouts, 19 walks, and a batted balls in play average of .182. They hit only .131 against lefties. Their batting averages have been dreadful in the nine games — Jacoby Ellsbury, .181; David Ortiz, .208; Dustin Pedroia, .147; Shane Victorino, .142; Mike Napoli, .148; Gomes, .214; Daniel Nava, .125; Jarrod Saltalamacchia, .066; and Stephen Drew, .111. Of the 1,144 pitches seen, according to Chuck, only eight were with the count 3-0, 30 on 3-1, and 51 on 3-2. What it means is that Red Sox hitters weren’t able to get deep into counts like they normally would. The Red Sox aren’t the only good team that has been shut out a lot. The Braves have been shut out 12 times, second most to the Marlins (14). The Astros and White Sox have been blanked 11 times, while the Nationals, Phillies, Twins, Rockies, and Cubs have been shut out 10 times. Tied with the Red Sox at nine are the Giants, Athletics, and Yankees. Lefthanders J.A. Happ (Toronto), Derek Holland (Texas), Matt Moore (Tampa Bay), and Brett Oberholtzer (Houston) have started shutouts against the Red Sox this season, as have righthanders A.J. Griffin (Oakland), Jered Weaver (Angels), Bartolo Colon (Oakland), and Chris Tillman (Baltimore, 2). Kansas City’s Bruce Chen and Minnesota’s Scott Diamond have thrown seven shutout innings against the Sox this season. Only Moore went nine innings. Griffin and Holland went eight. Four of the shutouts came in July and one in August. Are teams finally getting smart with their scouting reports? “You have to be aggressive with the Red Sox’ lineup,” said one of the advance scouts who prepared a report prior to his team blanking Boston. “Pitchers have to attack the zone. There are pitches that Dustin Pedroia just isn’t going to swing at, but you have to keep pounding him early in the count so he’ll swing. Now, when they swing early in the count it’s not always an out, but getting them out of their element, having the confidence swing from the hitter to the pitcher, is a big psychological advantage. There’s no doubt the Red Sox are susceptible to lefthanded pitchers. A few scouts were surprised by Jon Lester’s inability to make a good throw to first base in his start Wednesday in Toronto. Lester isn’t the only pitcher who has had trouble throwing to the bases. Former Red Sox lefthander Matt Young used to have to roll the ball to first base at times to get it there accurately. It’s obviously a mental block. Lester made two poor throws to first base on Wednesday. Manager John Farrell acknowledged the issue and said Lester continues to work on it. A prominent pitching coach we spoke with said the problem is not uncommon. The Red Sox need to get this under control before it bites them. 1. Mark Buehrle has gone to the weighted-ball training teammates Steve Delabar and Brett Cecil swear by, and his performance has improved in the second half. The Jays have hired the founder of the training program, and a few pitchers have adopted it. It may become an organizational exercise as the Jays seek ways to limit the pitching injuries that have plagued the organization for years. 2. The Royals have brought in Jamey Carroll from the Twins and Emilio Bonifacio from the Blue Jays to add infield depth, but their best bet is Pedro Ciriaco, who is stuck in Triple A because he can’t get himself on the 40-man roster. 3. How streaky are the Indians? Over their first 119 games, they went 5-10, then 21-7, then 4-16, then 15-5, then 7-10, then 10-1, then 1-7. 4. Adderall, for which Miguel Tejada tested positive, resulting in a 105-game suspension that was announced on Saturday, is primarily for attention deficit hyperactivity disorder, but also has been known to mask steroid use. Yet there are players diagnosed with ADHD who receive exemptions for the medication, a banned substance. A report out of Kansas City said Tejada’s exemption for Adderall expired in April. 6. The Dodgers have transformed themselves since June 22 with very few roster changes. Only five players from the active roster on that day are no longer with the team — infielder Luis Cruz (released and signed by the Yankees), outfielder Elian Herrera (now in Triple A), righthander Stephen Fife (Triple A) and relievers Peter Moylan (Triple A) and Matt Guerrier (traded to the Cubs). They have been replaced by righthander Ricky Nolasco, relievers Carlos Marmol and Chris Withrow, shortstop Dee Gordon, and outfielder Carl Crawford (back from the DL). “I saw Marmol on TV the other night. Geez. He was throwing 98,” said David Ortiz. 7. A scout timed Ortiz at a speedy 4.25 seconds down the first base line in Toronto. 2. Justin Morneau, 1B, Twins — This situation is unfortunate for both the Twins and Morneau. He wants to remain in Minnesota, but the Twins have rejected any offer to talk contract, an indication they are ready to move on. There were no viable options at the trade deadline, but now that Morneau has cleared waivers you wonder if something will kick up between now and Aug. 31. The Orioles are certainly a team that would have interest to shore up their DH spot. The Red Sox might have some interest with Mike Napoli struggling, but their Mike Carp/Daniel Nava option at first base might be more pleasing. 3. Mark Reynolds, 1B/3B/DH, Yankees — The Royals came close to signing him a few days ago, and the Orioles kicked around the possibility, but the Yankees hope Reynolds can get hot like he did last August and September in Baltimore. He homered in his first at-bat for the Yankees on Friday. The Royals elected to deal with the Blue Jays for Emilio Bonifacio and the Twins for Jamey Carroll instead, even though they could use righthanded power. The Red Sox dismissed Reynolds, feeling he couldn’t play third base well enough, but at this point teams have to be looking at Reynolds purely as a power bat. 4. Luke Hochevar, RHP, Royals — The Royals are in a tough spot because the former No. 1 overall pick has obviously found his niche as a reliever, but he’ll likely earn more than $5 million next season, which is more than the Royals want to spend for a reliever. The Royals could make him a starter again, but they seem to have missed the boat not dealing him at the deadline. However, general manager Dayton Moore correctly surmised that Hochevar could help them down the stretch. The Royals’ bullpen has been the best in the AL this season. 5. Josh Johnson, RHP, Blue Jays — What a nightmare season for a guy who was once one of the most dominating pitchers in the NL. Johnson never found himself after he looked brilliant in spring training. He’s been shut down for good with a forearm strain, and will now enter free agency. The Jays can’t even make him a qualifying offer. “He’s either going to be a gold mine for someone who gets him cheap and then reaps the benefits or someone is going to get taken like the Blue Jays did,” summed up one AL executive. 6. Jose Abreu, 1B, Cuba — The slugger everyone is now raving about looks like a righthanded Prince Fielder (which means he looks like Cecil Fielder). Lots of power, but his weight has to be a concern, and trying to evaluate him is another problem. The Red Sox and others are doing their due diligence on him. Given the success of Yoenis Cespedes and Yasiel Puig, teams don’t want the next Cuban superstar hitter to slip away. 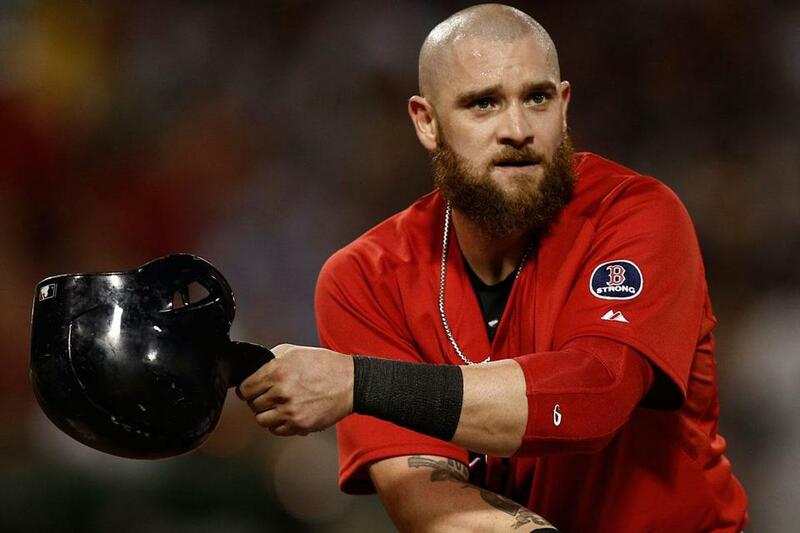 The Red Sox have a need at first base, especially if they do not re-sign Napoli. 7. Giancarlo Stanton, OF, Marlins — Who’s having just as bad a stretch as Napoli? Stanton, has gone 53 at-bats without a homer. The Marlins are still insisting Stanton is going nowhere this offseason, but teams such as the Red Sox and Rangers keep trying. 8. B.J. Upton, OF, Braves — The Braves are going great but umpteen people warned them not to sign Upton to a long-term deal. Upton, with a five-year, $70 million contract, has been horrible post-Tampa Bay. He entered Friday hitting .093 (7 for 75) with runners in scoring position, worst among qualifiers. He was hitting .188 overall with eight homers and 21 RBIs. Ouch. 9. Charlie Manuel, ex-Phillies manager — The Phillies are right to try to keep Manuel around as a special adviser. If he should want to go elsewhere, he would find no shortage of teams who would listen to his evaluation of players. Manuel knows hitting and can identify hitters. He was a loyal soldier who led the Phillies to a World Series title and was fired when his injured/aging roster let him down the past two years. Manuel always figured Ryne Sandberg was brought in by GM Ruben Amaro Jr. to eventually replace him, and that’s what happened on Friday. From the Bill Chuck files: “According to TaterTrotTracker.com, the slowest trot around the bases on a homer this season belongs to Todd Helton, who took 31.54 seconds. Eight of the next nine slowest belong to David Ortiz.” Also, “The Padres have never played the Blue Jays in Toronto.” And, “The Orioles’ 4-5 batters have hit 70 homers, the Royals’ a mere 14.” . . . Steve Buckley’s annual “Oldtime Baseball Game” will take place Wednesday at 7 p.m. at St. Peter’s Field in Cambridge. Proceeds benefit the Scleroderma Foundation . . . Happy birthday Joe Azcue (74) and Bob Zupcic (47). Correction: Because of a reporting error, this story said Robin Ventura went to Stanford in an earlier version. Ventura went to Oklahoma State.